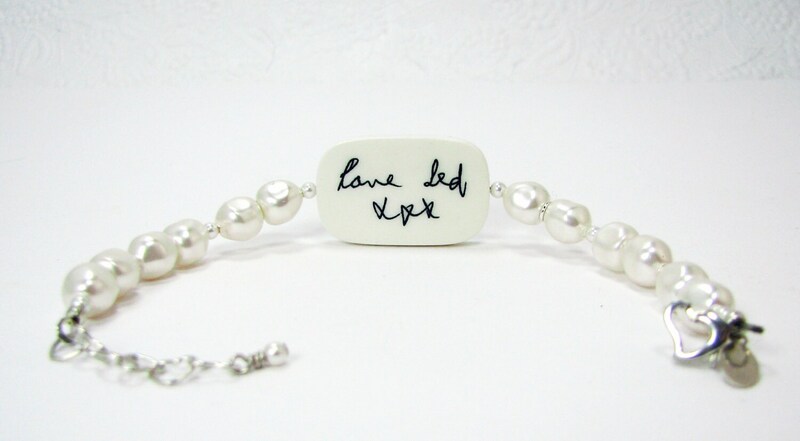 This brides bracelet is made with beautiful white baroque pearls by Swarovski. 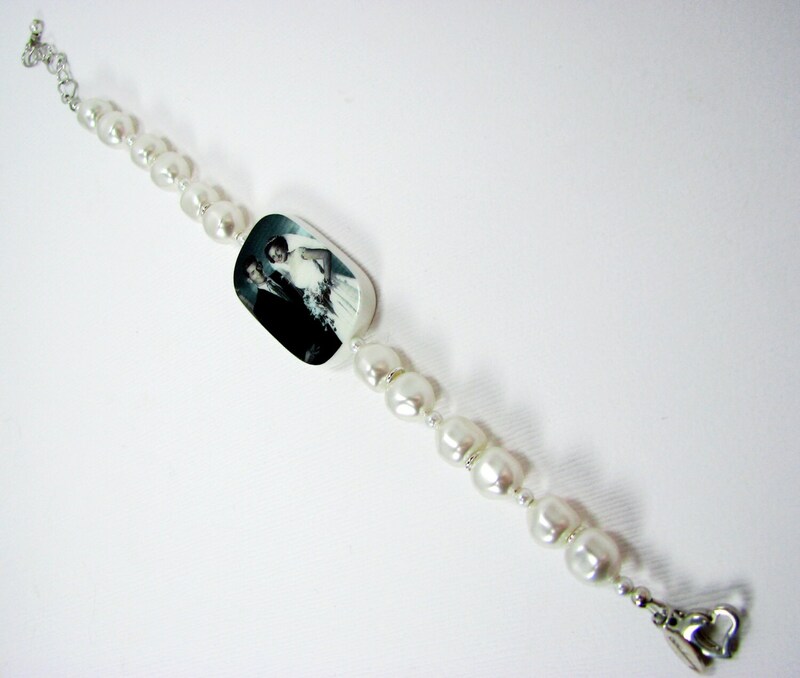 It measures 7" in length and it comes with a 1" sterling extender chain for your most comfortable fit. 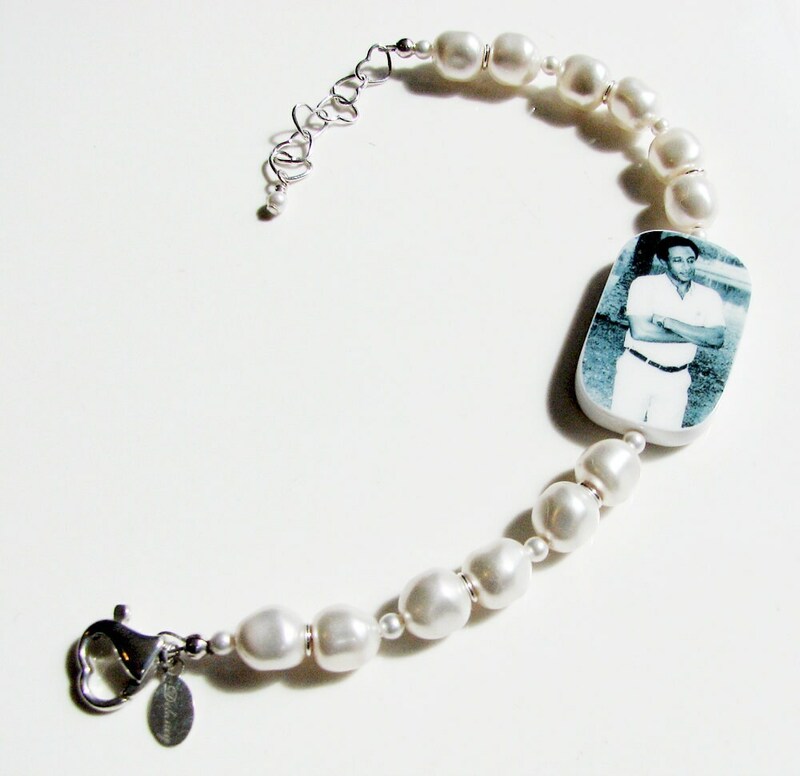 It holds a large, handmade, two-sided custom photo charm that measures up to 1.25" in length. Order it with your favorite images or request a custom text side to be designed as shown above. 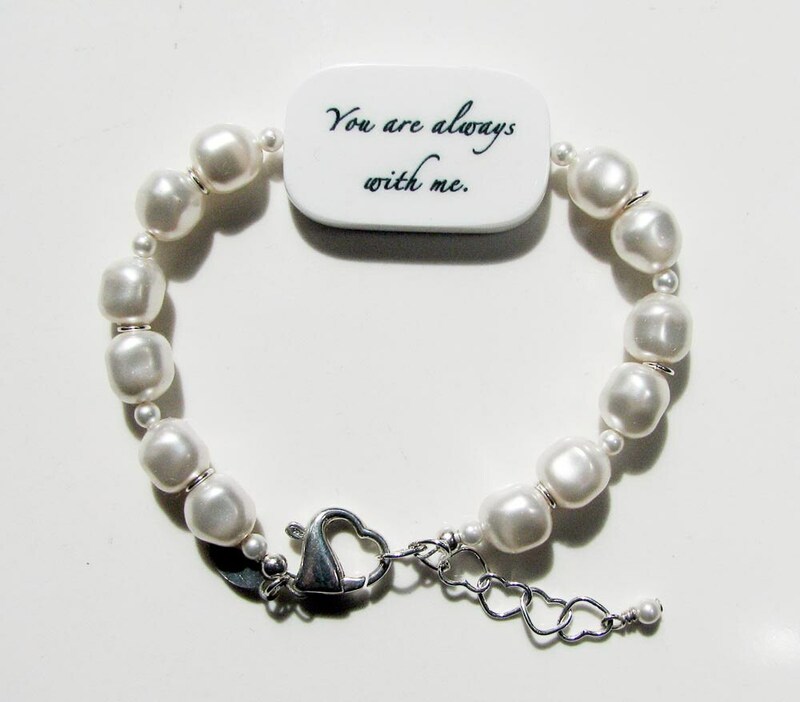 The charm can be flipped over to display either side while being worn. 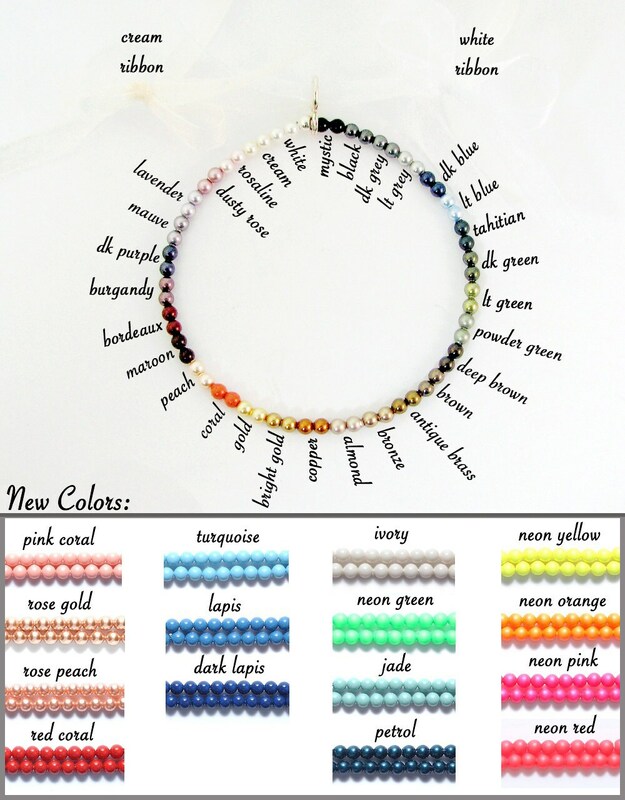 Request your favorite pearl color from the list below. Match your pearls to your images, or your wedding colors, whichever you prefer.